Fresh spring green leaves gives this Cypress tree a delicate appearance. 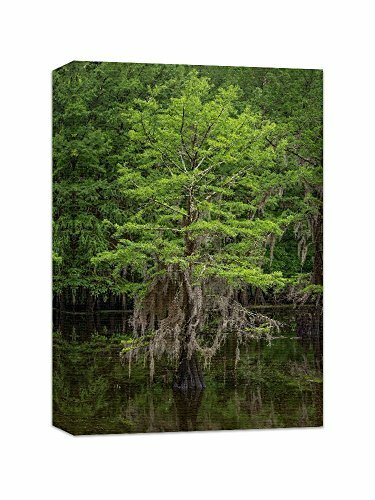 The spanish moss gently drapes over the limbs and adds a touch of romance to the bayou at Caddo Lake State Park in Texas ----- Gallery wrapped canvas print ready to hang right out of the box. Size 12"x18"x1.25". Larger sizes available under options. If you have any questions about this product by Nature's Vista Photography, contact us by completing and submitting the form below. If you are looking for a specif part number, please include it with your message.